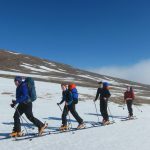 Established to promote field-work and outdoor activities the hostel can offer field-work based activities, team-building and field-studies in East Lothian through The Outdoor Learning Service. 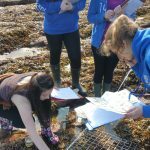 We can provide several of the Value-Added Geography Fieldwork National 4 and 5 resources and workbooks that are now available for East Lothian. Physical Geography river studies based at the Tyne near Haddington. Coastal eroision exersizes for Dunglass/Bilsdean area near Innerwick. 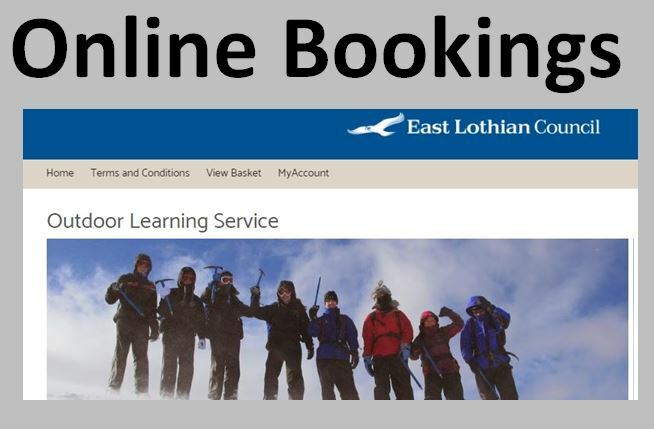 Please contact East Lothian Outdoor Learning Service for more information and access to these resources. 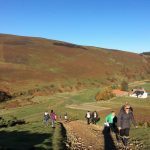 The Old School House can be used as a base for Biology and Geography Advanced Higher pupils carrying out field work. 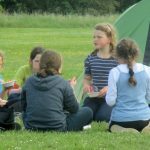 A group of pupils from across ELC Schools meet and work together on a range of outdoor adventurous activities. The Old School House is a great base for summer activities. 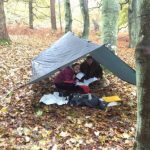 The Old School House is a great resource for staff training in order to support pupils working through their D of E awards. 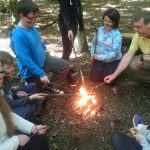 Great access to the Hopes and opportunities for groups of youngsters learning compass skills and how to use maps for navigation. 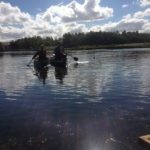 The ELOES have access to the Musselburgh Lagoons for canoeing skills. Just one activity that can be organised as part of a residential at The Old School House. Transitioning from primary to secondary school can be daunting for less confident children. The Old School can serve as an activity base for these youngsters to overcome low self-confidence, self-esteem and social interaction issues. 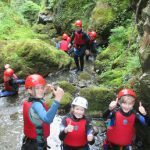 Gorge walking emphasises the importance of working together. Great for team building. 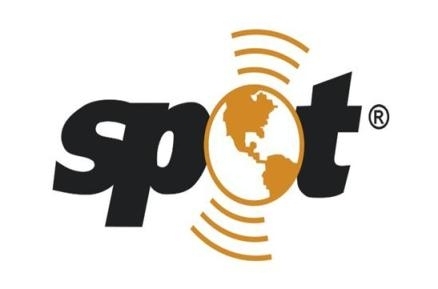 Another activity that can be arranged locally. 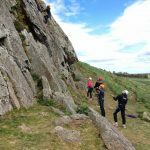 Traprain Law is a great location for a bit of rock climbing.